Yesterday I told the story of the time my daughter and I built a sandcastle too close to the ocean, and how we were surprised when the first wave lapped up against the walls. That story was a metaphor of the way the rising tide of a changing culture is threatening the institutional church. And in the same way my daughter said, “Daddy, do something!” churches seem to want their leaders to do something to save the institution, to reverse the flow of culture, to make it 1955 again. My daughter and I did what we could to save our sandcastle: we built a huge floodwall and dug a moat. We joined hands, faced the water, and said, “Go away waves!” But there was a whole ocean out there, and the tide was coming in. In the end our beautiful castle crumbled and the waves washed it away. My daughter looked up at me and said, “Now what?” and I said, “Let’s go swimming.” That’s what I want to talk about today, about how to stop building floodwalls and digging moats around our churches, about how to stop joining hands and telling the rising tide of culture to “go away.” I want to talk about how to wade out into the world God loves and learn how to swim. More later. Thanks for your patience. Not Baptist Enough for Baylor? I appreciated Wade Burleson’s comments on the recent appoinment of Ken Starr as the new president of Baylor University. Even though he is a devoted follower of Jesus Christ, some people don’t think Starr is “Baptist enough” for the appointment. It brought to mind our ongoing conversation at Richmond’s First Baptist Church about receiving members from other denominations who have not been baptized as believers by immersion. Are they Baptist enough to be members? Is Ken Starr Baptist enough to be president of Baylor? I’ve attached Wade’s thoughts on the subject below. I hope you will appreciate them as much as I did. 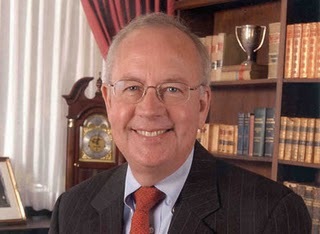 It seems that the Ken Starr is a down to earth, conservative evangelical Christian with a brilliant mind and some pretty powerful connections throughout the United States. Unlike the media’s portrayal of Ken Starr during the Clinton era, Ken is no conservative ideologue. He has a legal mind second to none. He has demonstrated an ability to raise enormous amounts of money at Pepperdine, and the students and faculty love him. [My friend Brooks Douglass, a Southern Baptist “missionary kid” and former Oklahoma Senator] told me that two current United States Supreme Court justices had clerked for Starr, and if it had not been for the Lewinsky debacle, Ken Starr would be the Chief Justice of the Supreme Court today. Brooks said Ken Starr’s Christian values, established connections, and track record of superb leadership makes Ken Starr a five star hire by Baylor University. I was pleased to hear such a strong recommendation from a man I respect. Then I begin to read the blogs of Southern Baptist religious ideologues about Ken Starr’s hiring at Baylor. Most of them are not happy. Why? That kind of thinking reminds me of the trustees at the IMB who said they would rather pay thousands of dollars to fly a Southern Baptist pastor from the United States to China to baptize a convert than to allow a SBC missionary who was not “properly credentialed” to perform it. I think that we Southern Baptists, unfortunately, are becoming more and more known for being Southern Baptists than devoted followers of Jesus Christ. When we are more concerned about the President of Baylor University being baptized in baptist waters than we are the spiritual condition and maturity of the man who takes the office, then we have sacrificed our “Christian” heritage on the alter of religious ideology. Soon, there will be little difference between the ritualism of us Southern Baptists and that of Mormons who must baptize in special places, wearing special underwear, at the hands of a special under… er, well, you get the idea. Take it from a person with the same last name as the first President of Baylor University in Waco, Texas–Ken Starr is a great hire. Click HERE to read Wade’s post in context on his blog. Here’s an essay by Wallace Adams-Riley (Rector of St. Paul’s Episcopal Church in Richmond and my regular running buddy) published in yesterday’s Richmond Times-Dispatch. In it Wallace provides some valuable insight into the seasons of the Christian year, and especially the traditions of Ash Wednesday, which was observed yesterday by churches around the world. Late last fall, my family and I moved to Richmond from Florida and, at my wife’s suggestion, I bought an overcoat for the first time in my life. I wasn’t sure I needed it, but she, a Vermonter, told me I would. Only a couple of months later, I was glad I had listened to my wise wife. We had lived in Florida for only five years, and yet I was amazed at how much I had lost touch, in that short time, with what it was like to live somewhere with actual seasons; first the colors of autumn’s leaves; then the wind chill and snow (or snows) of midwinter; and then, mercifully, the tantalizing first hints of spring, with the delicate green beginnings of budding and leafing, the steady and unmistakable uptick in the bird population and, as noticeably as anything, the exponential increase in birdsong. I’ll always remember walking through the Fan last spring, with my mouth practi cally agape at how the robins, finches, and sparrows filled the trees and all the air around with their ever expansive, ebullient song. To be conscious of the seasons is elemental, one of those things most essential to being alive. Therefore, it should be no surprise that since time immemorial, and long before the major world religions were born, human beings have looked to the seasons as primary metaphors for the human experience — and, in particular, the human experience of the Divine. When, in time, Christianity emerged, it was only natural for Christians to follow that same essential pattern as well. Over the first few centuries of the life of the Church, Christians worked out a year-round calendar of feast days and fast days to commemorate the life and teachings of Jesus; and they arranged the architecture of the church year to maximize the metaphorical potential of the annual seasons. And so it is with Lent and the approach to Easter, that moment in the Church’s calendar we now enter. The natural, seasonal dynamics of death and rebirth, winter turning to spring, become a grand metaphor for the Passion and Resurrection of Christ. As with Christ’s birth in midwinter, so with his rebirth in the spring, the natural world joins in the annual remembrance of Christ’s Resurrection. Indeed, the word “Lent” itself comes from the Old English lencten, used to describe the lengthening of days that marks the coming of spring. And, in the Church’s calendar, by dependable calculation (the Sunday following the first full moon after the vernal equinox), Easter always falls in spring. In fact, the word “Easter” was originally the name of a pre-Christian spring goddess. That the Church takes such care to draw the whole natural world into the act of remembrance and the experience of worship is nothing less than sacramental. The sky, and the trees, and the birds, and the day and the night, like water and bread and wine, all become, as we say of sacraments, “outward and visible signs of inward and spiritual grace,” signs of what God would do and is doing in our lives and in our world. For a faith which holds that, in the name of love, God took on the earthly stuff of flesh and blood, this correspondence is only natural. Today, as the sign of the Cross is made on countless foreheads, with the words, “You are dust, and to dust you shall return,” we are reminded that, as divine as any faith may aspire to be, it is where that faith meets the lived experience of humanity that true colors are shown. 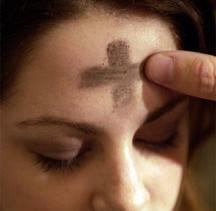 Ash Wednesday is a day when we are especially aware of our creatureliness and mortality; and it begins a season of reflection and prayer, of rethinking and re-examining; a season to prepare for a change, a transformation, even a rebirth. When I was in my early teens my family and I stayed overnight with a couple in Huntington, West Virginia, who had four daughters, roughly the ages of the Somerville boys. I developed a huge crush on one of them, Mary Scott, and when I woke up the next morning in an upstairs room I breathed on the window and traced our initials on the glass with one finger: “J.S. + M.S.K.” That was as close as I came to professing my love for her. But a few years later she arrived on the campus of the same college I was attending. I was a sophomore, she was a freshman, and if anything she was even more beautiful than I remembered. I knocked on her door one evening and told her the story of how I had written our initials on the window of that upstairs room, hoping that she would say, “Really? I had a crush on you, too!” But she didn’t. She didn’t seem to remember that visit, and I’m pretty sure she didn’t remember me. She started dating the goalie on the soccer team and I swallowed my disappointment and moved on. Eventually we got to be friends, so that when I got a letter from her mother last year (who lives near Richmond, heard one of my sermons, and wrote asking if I still remembered her family), I was able to say, “Please tell Mary Scott hello.” She did, and Mary Scott said “hello” right back. Her mother and I have corresponded a couple of times since then, and so I wasn’t surprised to get an envelope yesterday with her return address in the upper left hand corner. What surprised me was the news inside: Mary Scott had died in a snowboarding accident in Colorado. It’s not the first time one of my peers has died, but it’s the first time it’s happened to someone I once had a crush on. It feels different, somehow. I think back to those initials on the glass and wonder, “Is that how it is? Do people’s lives evaporate like those letters did? Is that the end of Mary Scott?” But then I remember those lines from Isaiah 49, where God says to his people: “Can a woman forget her nursing child, or show no compassion for the child of her womb? Even these may forget, yet I will not forget you. See, I have inscribed you on the palms of my hands” (Isa. 49:15-16a). I picture those initials—“M.S.K.”—written on God’s palm forever, and I breathe a sigh of relief. Because I know that Mary Scott was also one of God’s people. And I know that she’s going to be OK.
(ABP) — Many 20- and 30-year-olds share a distaste toward Baptist churches. 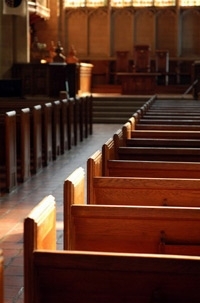 As a young minister, I believe my peers need the community and nurturing of a church. I hope the church will hear the cries of these young Christ-followers and see the value, the vision and the deep compassion they possess. Young adults decide not to attend church for a number of reasons, but there is a particular trend among 20- and 30-year-olds that pertains to local Baptist churches. The split of the Southern Baptist Convention caused many young Christ-followers to be very disillusioned with the church at an early age, but that isn’t solely to blame. There are more compelling reasons keeping 20- and 30-year-olds at an arm’s distance from the church. The harsh church isolates itself from other denominations. Its voice is brash, critical and cold to the changing culture. This church has leaders who speak with loud voices, not just in decibels, but to the media and government in protest against issues regarding school curriculum, the health-care system, marriage or churches with female pastors. 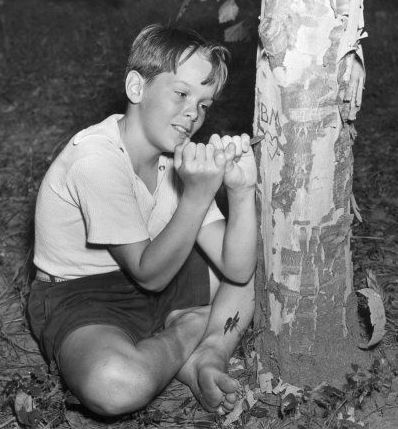 Young Christ-followers hesitate to be associated with a group of Baptists labeled as “crazy” by society for making outrageous statements such as declaring that the cause of Haiti’s earthquake was the result of a pact they made with the devil or that the Sept. 11 attacks were brought on by feminists, abortionists and homosexuals. Why would anyone want to join a community of “believers” that seems hateful and compassionless? In contrast, the watered-down church is unappealing because of its prophetic muteness. More concerned with institutional preservation, this church avoids stepping on theological or ideological toes. Young Christ-followers want to hear the church discuss and dialogue about homosexuality, social justice issues, women in ministry, poverty, environmental concerns, human rights issues, health-care issues, the AIDS epidemic in Africa, orphans in China, monks in Burma, etc. They are eager to have open, honest, almost jaw-dropping, conversations balancing current issues with their faith. Instead of church politics, they want churches to become missional. They understand the institutional church but desire the simplicity of the early church. They grow weary of time and money spent maintaining the large church grounds, renovating empty Sunday school rooms, installing the latest technology and managing growing numbers of committees. When the church becomes too distracted to be a church on mission, young Christ-followers focus on serving through a para-church or nonprofit organization that is directly meeting the needs of others. So, what can our churches do to reach out to young Christ-followers? First, churches have to be willing to open their doors to a new generation of Christ-followers and understand they do things differently. This new generation thinks, communicates, tithes and serves differently. It is guarded when it comes to trusting authority, so it is crucial that leadership within the church be transparent with them. This group is searching for authentic faith, authentic leadership and authentic ministry. Churches must also practice what we preach. If we tell these 20- and 30-year-olds we are open to dialogue about social issues, the environment, etc., then we must actually talk about these issues in our Sunday school classes, Bible studies and sermons. Watering down the gospel or avoiding issues altogether only causes bigger rifts in the relationship between the church and young Christ-followers. Third, our churches must begin to reflect our changing communities. The ministerial staff must diversify to include people of all ages, races and genders as leaders. With a diverse staff, the church will begin to experience things through others’ eyes and more voices will be represented from the pulpit. Young Christ-followers will feel accepted as part of the congregation if they see faces just like their own doing things like preaching, teaching, leading, reading and serving. Finally, all preconceived notions of these young Christ-followers must be thrown out. Not all of them expect loud, Christian rock music, want to wear torn jeans and a T-shirt to church, seek a coffee bar in the worship space or the biggest and brightest LCD screens. Many of the stereotypes our churches have concocted of young Christ-followers are false or at least skewed. There is a lot at stake. For older generations, it can be painful to recognize that the institution they worked so hard to establish, buildings they worked diligently and gave sacrificially to pay for, and familiar traditions are of waning importance to young Christ-followers. Instead, the mission and service of the church ranks as highest priority. For younger generations, what’s at stake is our ability to find ways to relate, engage and work side-by-side with older generations finding common ground on issues of social justice, faith development, worship experiences, etc. Contrary to what some Baptist churches believe, young Christ-followers are not pagans running from God into the arms of another religion. They simply desire to be heard and understood for who they really are and for their vision of the future of Baptist churches. The last time I published an entry from Heidi’s diary I told you that I didn’t know who she was, I only knew that she was a pastor’s daughter serving as a volunteer on a medical mission to Haiti. Since then I have learned that her name is Heidi Ennenbach, and that she is a registered nurse from Columbia, Missouri. I will post the final entry from her diary here, and include some additional information below, for those who want to know more. 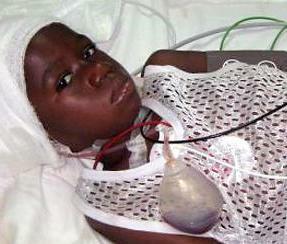 Heidi has been an inspiration to me, and a regular reminder of those who are still suffering in Haiti. I have learned that there are many reading these emails. I had no idea the impact they would make. I wanted to share these things with my family because I am not good at giving details. I feel compelled to finish this “diary” even though now I am home safe. Today I got to worship with my congregation and I couldn’t stop crying. The images and stories from my experience in Haiti will forever be with me. I was thinking of my patients and their families as I looked around the rows of chairs at church today. Each person with family and friends surrounding them. Then my minister spoke to me. I felt like he picked me out of the crowd. I will tell you why before this email is finished. I left off Late Friday night. Friday was so so busy. I didn’t understand busy until Saturday came. We were down to 7 nurses. 7 of us to care for 300 people (not including their exhausted and starving family members/friends). We were busting at the seams with patients. The mayor granted us another school in the area as well as the community nutrition center. We moved all the pediatric patients to one location and set up rooms in the schools with the most acutely ill patients in the nearest room and the other patients that were doing better (I use that term so loosely) were in the rooms further away from the supply center. Saturday was like the worst episode of M.A.S.H. you could imagine. Black Hawk helicopters at a steady pace, the sirens of the amublances, and the chaos of hundreds of people scattering to get out of the way. As we got more victims from Port-Au-Prince I wondered when this will slow down and when they will have all the patients placed. I was busy in the recovery area and ICU. There were so many patients needing help I enlisted the help of the anesthesiologists. I asked them to recover their surgery patients in the operating rooms because there were no beds left. I had 3-4 patients lying on beds and there were no monitors to make sure they were breathing/oxegenating ok after their surgeries. In the meantime I was medicating patients for pain and trying to get them the antibiotics they needed. We were again out of supplies and I was calling for help on the hand held radio for someone to bring gloves, alcohol, and syringes. Everyone was so busy that I had to leave the patients unattended to run to the hospital and go through 100 boxes to find the supplies I needed. Fortunately when I returned everyone was ok. I was giving blood to two patients who had the lowest blood counts I have ever seen. Some with a hemoglobin of 2. In the midst of all that I went to the ICU to get some medication. At that time I saw a 6 year old boy and he was going down hill quickly. I helped the other nurse as she intubated the patient. He was in bad shape with a blood sugar over 400. He was not breathing well enough on his own and we needed to get him on a chopper quickly in order to get him to the ship. (The ship is called the COMFORT; it is a floating ICU). We heard a chopper coming in and radioed down to the doctor on the landing strip to see if the helicopter would take him to the ship. They agreed but said we had to be on the chopper in 2 minutes. We were yelling commands at anyone who could help us. We ran with him on the stretcher to the ambulance. We had no oxygen because the only oxygen tanks we had were huge and probably weighed 200-300 pounds. We rushed to the helicopter to find that they had no oxygen. I knew that this child was going to die without oxygen for 45 minutes (the time it takes to fly to the ship). There was heated discussion, all of us so angry. We knew how to save him but we didn’t have a ventilator. We knew he needed oxygen but didn’t have it available. We knew that if he lived to get on the ship he would have a chance. It didn’t matter what we knew. It didn’t matter that we had the skills. We didn’t have the materials. When we put him back on the ambulance he arrested. We were driving on a road with 3 foot pot holes doing chest compressions in the back of an ambulance. Trying to keep our balance. I was holding all his IV fluids, I stumbled and fell on the nurse doing chest compressions. It was total chaos and I couldn’t hold back my tears. I quickly had to regain composure: he needed us. We rushed him back to the ICU and someone found his father. He had a sketchy cardiac rhythm, he barely had a pulse, the Haitian anesthesiologist I told you about was there and he was telling the boy’s father that he was not going to make it. The father said “this is up to God.” He prayed fervently, loudly, he put his hands on this baby’s chest and prayed that God would put breath back in him. He prayed loudly in the boy’s ear to breathe and be alive. Two of the man’s friends were laying hands on this little body and praying. I held the boys hand as they continued with chest compressions. I knew the boy was not going to make it. After his prayer we stopped compressions. I was sobbing, the other nurse was sobbing, the doctor was sobbing, and the 3 Haitian men began to sing a song….and I recognized it. I began to sing with them but in English. They were singing “Burdens are lifted at Calvary.” I sang and sobbed all at the same time. I imagined the face of my son Will. I put myself in the shoes of this father. Helpless, traumatized, and experiencing such loss. He lifted this up to God, he was smiling, he said “God’s will has been done.” I hugged him….I hugged him for me. I needed to feel that comfort. I shouldn’t have left the hospital but I did. I walked the street by myself for about 40 minutes. The flood gates of emotions were opened. I couldn’t stop crying and asking God why this had happened. I didn’t know why it was me that he chose to send. I felt so helpless. I wanted to save this baby that had his whole life ahead of him. He had a mom and dad that were alive. I just couldn’t understand it. I in no way felt better but I was able to compose myself and returned to taking care of the patients. I finished working around midnight that night. I was so exhausted emotionally and physically. My body hurt, I was dehydrated and had a horrible migraine. I needed to sleep for just a few hours. Friday at some point (I can’t remember what time). I got word that a very wealthy business man had agreed to get in his jet and fly to Haiti to pick us up. I was so relieved to know that we had a guaranteed ride home. I was so thrilled and so looking forward to a break and to be home with my family but in minutes that joy turned to extreme sorrow and guilt. How could I leave these people here? I know that other groups will be coming and that someone will pick up where I left off but I knew these people now and I knew their story. I went to bed that night and for the first time did not fall asleep when my head hit the pillow. I replayed all the horrible graphic pictures in my head and I saw their faces. I wanted to load them all up and take them home with me. I could get them medical care at home. I could get them specialists. I could feed them. And then I remembered what another nurse said to me earlier in the week. If we were not here they would be dead. Even though I did so little and the job was not done, they were alive. I told you that today my minister Mark Butrum spoke to me. It’s amazing how God gives you situations in your life that drive home His word. It cements scripture in your own heart. The sermon today was on service in a series of sermons called “Thrive” being as close to God as you want to be. Two passages today spoke to me and I will share them with you. Even though I felt like I did so little, I did what I could. Colossians 3:23 “Whatever you do, work at it with all your heart, as working for the Lord not men.” You may feel pulled to do something to help these people but have no medical training. Maybe you have a jet that you could fly a team to Haiti? Maybe you are connected with a company that makes supplies? Maybe you have money to send to the hospital? Maybe you can pray? “Whatever it is that you do, work at it with all your heart, as working for the Lord not men.” If you feel compelled to help I will be sending a website to you. This organization gives 98.9% of all donations straight to the hospital, I have seen it with my own eyes. They are providing free medical care and they are emptying their shelves of medicines every day. When I secure this site I will send it to you in hopes that you will make a donation. This effort will be in motion for many months to come. They are making accommodations to provide care to 1,000 people! On her radio show, Dr. Laura Schlesinger (a popular conservative radio talk show host in the USA) said that homosexuality is an abomination according to the Bible (Leviticus 18:22), and cannot be condoned under any circumstance. The following response is an open letter to Dr. Laura, penned by James M. Kauffman, Ed.D. Thank you for doing so much to educate people regarding God’s Law. I have learned a great deal from your show, and try to share that knowledge with as many people as I can. When someone tries to defend the homosexual lifestyle, for example, I simply remind them that Leviticus 18:22 clearly states it to be an abomination… end of debate. 1. A friend of mine feels that even though eating shellfish is an abomination (Lev. 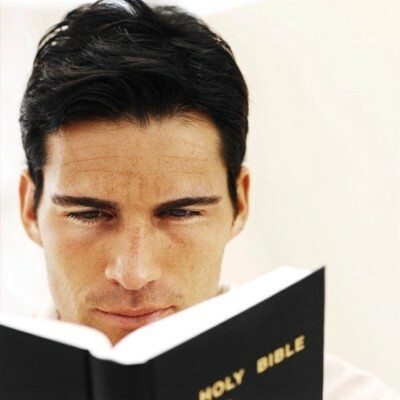 11:10), it is a lesser abomination than homosexuality. I don’t agree. Can you settle this? Are there ‘degrees’ of abomination? 2. Leviticus 25:44 states that I may possess slaves, both male and female, provided they are purchased from neighboring nations. A friend of mine claims that this applies to Mexicans, but not Canadians. Can you clarify? Why can’t I own Canadians? 3. I would like to sell my daughter into slavery, as sanctioned in Exodus 21:7. In this day and age, what do youthink would be a fair price for her? 4. When I burn a bull on the altar as a sacrifice, I know it creates a pleasing odor for the Lord – Lev. 1:9. The problem is my neighbors. They claim the odor is not pleasing to them. Should I smite them? 5. I have a neighbor who insists on working on the Sabbath. Exodus 35:2 clearly states he should be put to death. Am I morally obligated to kill him myself, or should I ask the police to do it? Do you see what I mean? In asking such questions of Scripture we begin to take it seriously, we begin to listen carefully to what God was saying then and there (exegesis) and consider how it might apply here and now (hermeneutics). When I led a Bible study on Old Testament Law for the young adults at my last church I asked them to think of it as “people-making literature,” and challenged them to imagine what kind of people would be made by following those laws. They were surprised to learn how many of the laws were about caring for neighbors, and strangers, and donkeys (yes, donkeys*), and began to see that following these laws could result in a nation of remarkably compassionate people. They wondered if that was what God meant when he said to Israel, “You shall be holy, for I, the Lord your God, am holy” (Lev. 19:2). They wondered if holiness was God’s word for compassion (as Jesus implies in Luke 6:36).